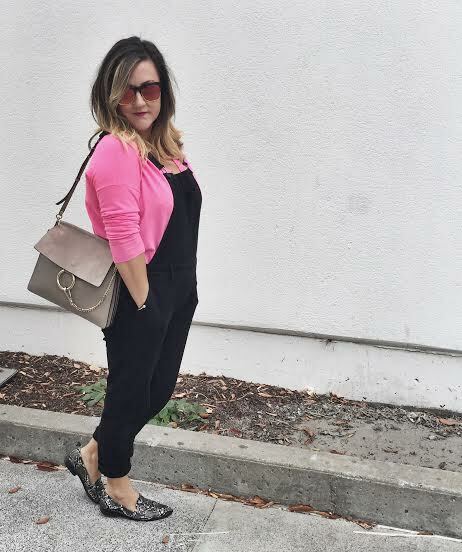 I don’t usually pair pink and black together, because it feels a little too “Sandy from Grease” or 80’s (in a bad way), but this weekend, I decided to pair this neon pink “boyfriend” style sweater from J. 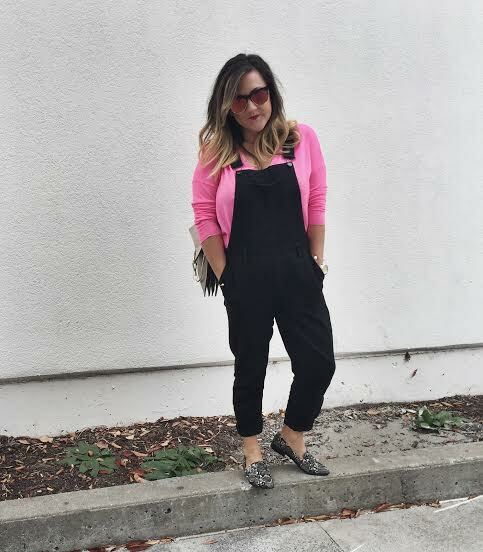 Crew with my fave black H&M overalls– and I was totally happy with how it came out! 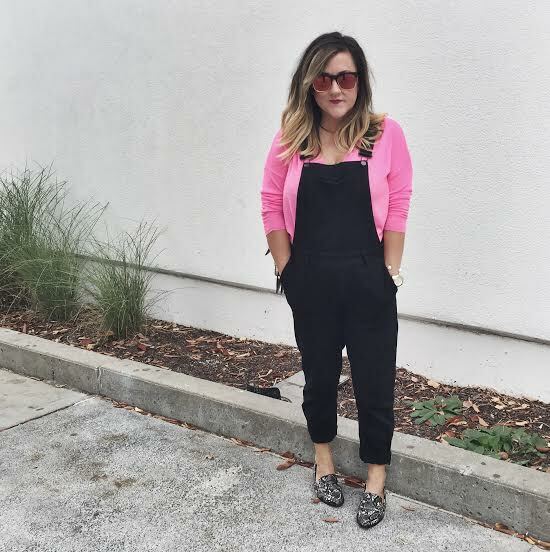 Because the overalls have such a tomboyish-baggy vibe, the pink didn’t feel overly girly– just the right amount of contrast! 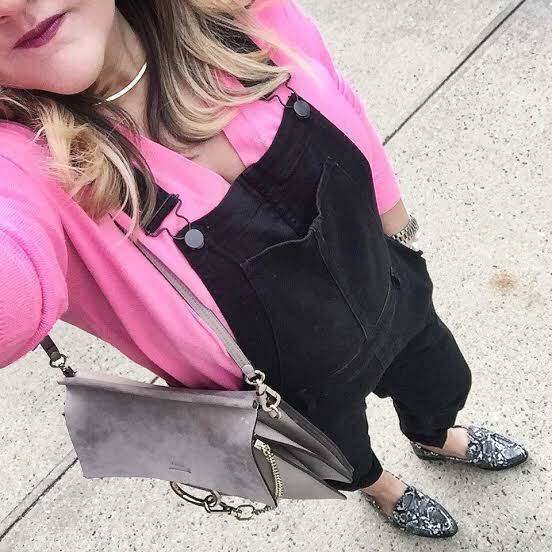 I’ve posted about these black overalls a few times, before, and I don’t hesitate to write about them again– they are seriously one of my go-to staples in my closet. 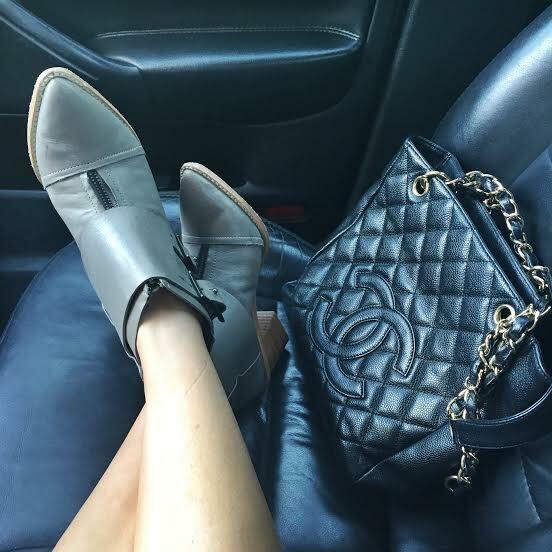 I wear them dressy with heels, casual with sneaks or loafers, to teach at school, with a blazer or moto jacket over them– the combinations are endless. And, as I’ve said before, if overalls in general seem like a stretch for you, TRY THEM IN BLACK!!! The feel is less OSh-kosh/farmer and more sophisticated and sleek. 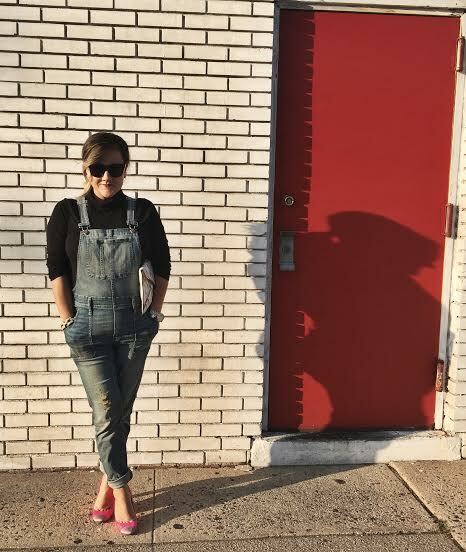 Below, find a links to a few different pairs of my fave black overalls, at varying price points– and try pairing them with a bright color underneath! 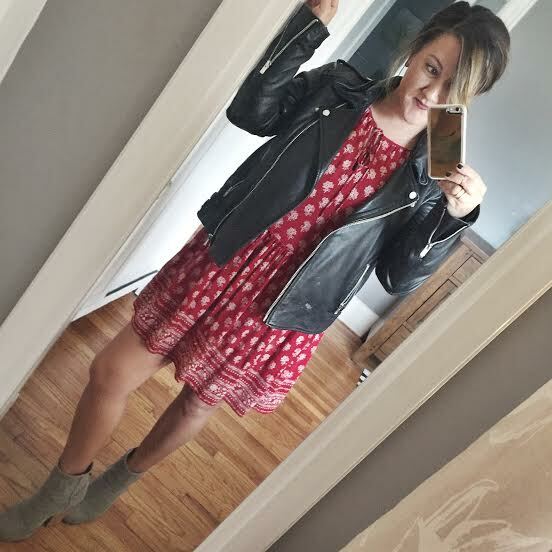 I’ve scouted a few similar options as far as moody fall dresses, the perfect black moto jacket (mine worn above is Mango from a few seasons ago), and pointed toe booties at varying price points! 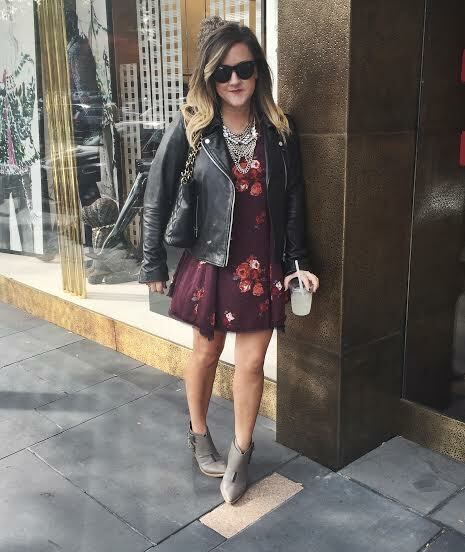 Try out this look this week, while we can still bare our legs! Mustard– a condiment I avoid at all costs, a color I can’t get enough of. Its super flattering on brunettes, but can be worn by anyone really if it’s the right tone– just make sure the shade you choose isn’t too similar to your skin/hair color. I’ve been adding lots of mustard colored pieces to my wardrobe this season; above, a few other pieces I love. So I’ve been super busy at school and have totally been slacking on posts…but here are a few recent looks I’ve worn and posted on Insta with details on where to buy! Fall is my favorite “fashion season” because the layering and combo possibilities seem endless — hope you guys find some inspiration below! 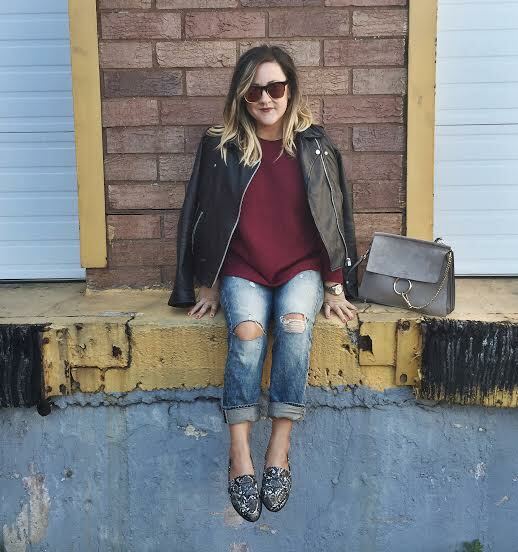 I wore this look on a trip out east last weekend, to a brewery and apple/pumpkin picking…the boyfriend jeans are Denim and Supply by Ralph Lauren, snakeskin loafers are from ASOS, and the maroon sweater is from Madewell (old, but similar here). 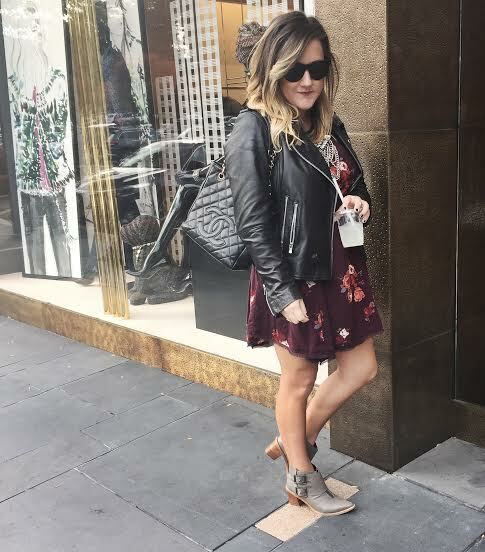 My go to leather moto jacket is from Mango last season, but Zara makes a similar one at the same price point here! 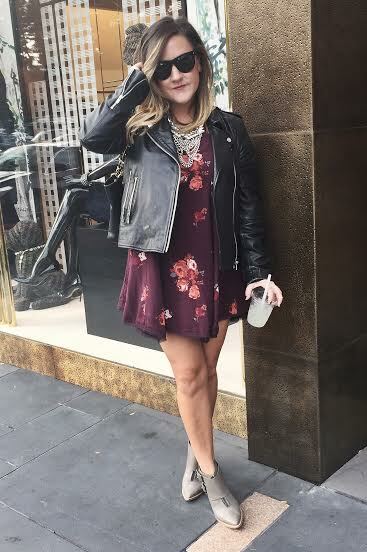 This bandana print dress is a recent Zara score, and at only $30, its super affordable too! 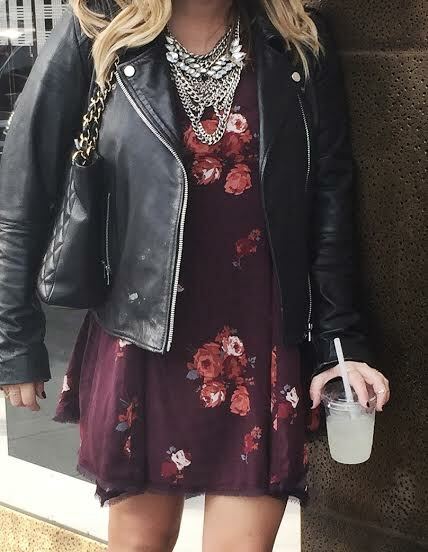 I layered it with my fave grey Rag and Bone Newbury booties, and my black moto jacket, so the look didn’t skew too “western”. 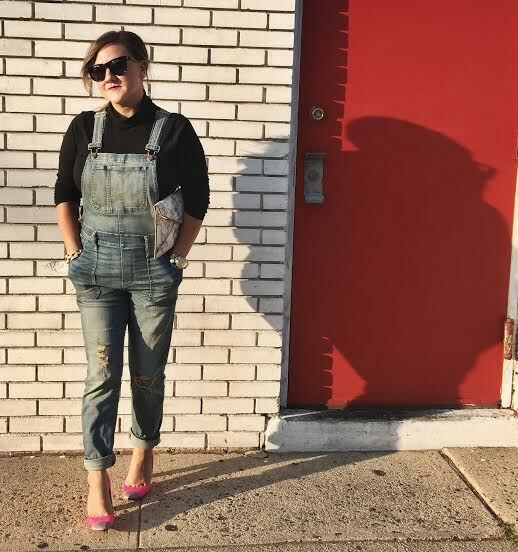 Here they are again; my fave year-round-staple, THE Madewell overalls! This time, for the cooler weather and a work-appropriate update, I layered a tissue thin black turtleneck from J. Crew underneath and added these neon pink pumps, also from J. Crew (old, but similar here). Today was a chilly Sunday, and to me, there is no color “comfier” than grey, am I right!? 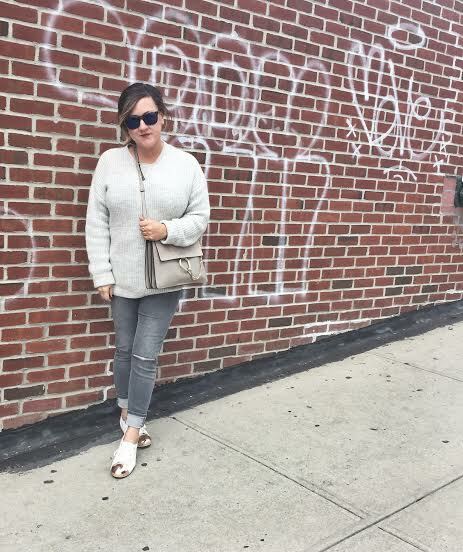 So I went monochromatic for brunch with Tim, in ripped grey skinnies from Topshop, a Topshop light grey sweater (last year’s, similar here), my grey Chloe Faye, and my gold tipped Aldo sneaks (on sale!!! ).